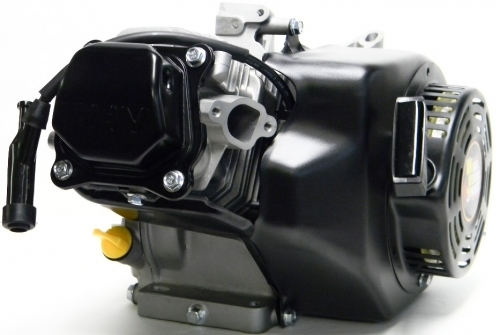 212cc Engine comes with the race ready carburetor and ARC flywheel installed or the optional Speedway Billet Flywheel on the engine and the valve lash and running lift set. 212cc Box Stock Project OHV Engine (Assembled) includes installed NEW BSP 4 Race cam, Performance T6 Treated cast rod, JT cylinder head, High quality gaskets, Balanced and Hardened Max Stroke Crankshaft (2.163-2.173), Throttle Return Spring and Pull Rod, Race Ready Ruixing Carburetor that is Tuned and Jetted (Main .038 Low Speed .022. Comes with stock springs. After market springs are optional. New option to include Black Out blower housing, Crank Rope, Valve Cover, and Big metal shroud. Chose this in the check box above. (Does not include top plate, air filter adapter, chain guard, fuel pump, air filter or fuel filter.) All these are options in our store. If you have questions please call us at 386-938-4211.